A mani must-have for nail lovers. Enhance, compliment and protect your favorite nail creations. The quick-drying top coat is fortified with an Acrylic Polymer Complex that resists chipping and gives your manicure a long lasting, high gloss finish. The specifically designed formula applies evenly and preserves the look and texture of nail color and nail art. 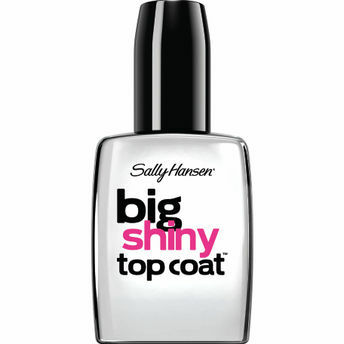 Gives nails a brilliant, high gloss finish. UV filters protect nail color from fading.